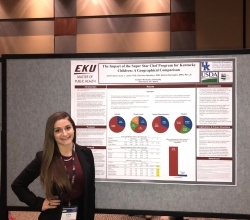 Why did you choose EKU for the MPH program? In undergraduate school, I discovered my passion for community nutrition and knew I wanted to pursue a graduate degree in public health to learn more about program planning, delivery, and evaluation. 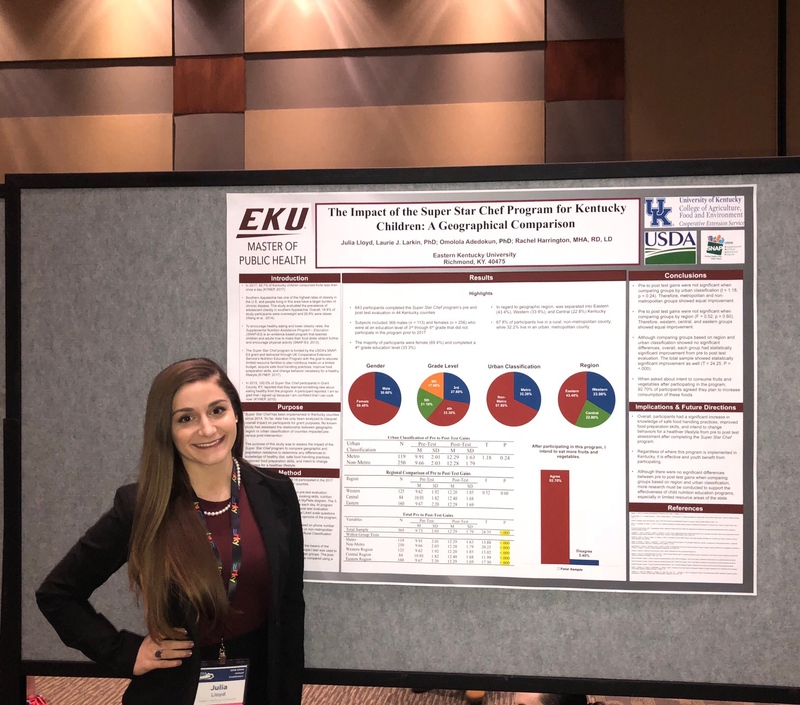 The MPH program at EKU offers a nutrition concentration, which is unique compared to others and compliments an undergraduate degree in dietetics or nutrition. What are some of your duties as a GA and what is something you've learned through this position? Some of the duties as a GA in the Family and Consumer Sciences department include purchasing groceries for NFA lab courses, assisting with Cafe Burrier, creating documents for professors, and completing tasks that help professors prepare for their courses. Through my position as a GA, I've gained a deeper appreciation for how much effort professors put forth while planning courses for their students. Why do you enjoy working for your department specifically? The faculty and staff in the FCS department are so friendly and welcoming that I look forward to coming in each day. Any other comments, tips, or advice for individuals coming into your program or graduate school. In graduate school, time management is critical to your success. Working on assignments early gives you time to ask for feedback from professors to make corrections. The writing center in the library has also been beneficial to me during my time in graduate school.